Cars are the stars of The Fast and the Furious franchise. In such a heavily car dominated franchise when a truck appears it makes a lasting impact. One of the trucks from the opening scene in the fourth installment of Fast & Furious popped up for auction on eBay. The opening scene of the movie, which was released in 2009, features the character Dominic Toretto played by Vin Diesel and his team of drivers attempting to hijack an oil truck train in the Dominican Republic. To attempt the hijacking the crew brings two heavily modified trucks. 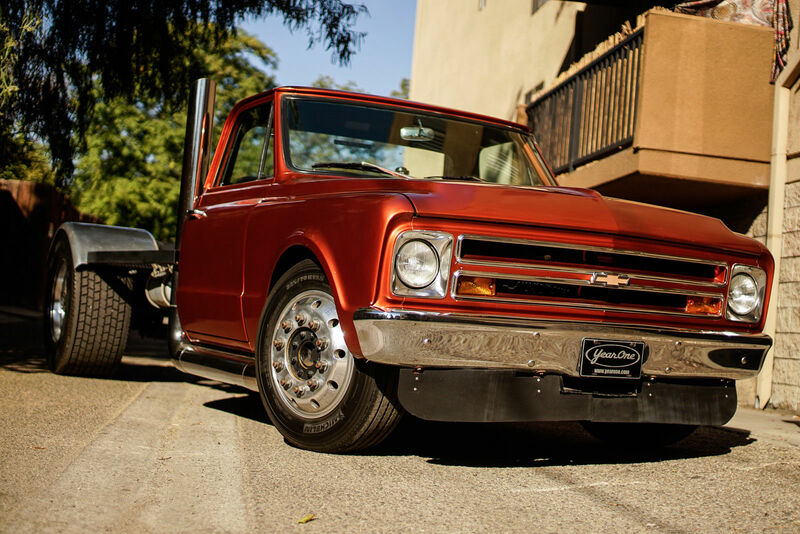 The truck which is up for auction is an orange 1967 Chevrolet C-10 driven by the franchise favorite character Han played by Sung Kang. The auction states that the build was commissioned by Universal Studios and built by Dennis McCarthy. McCarthy has been building cars for The Fast and the Furious franchise since its third installment, The Fast and the Furious Tokyo Drift. 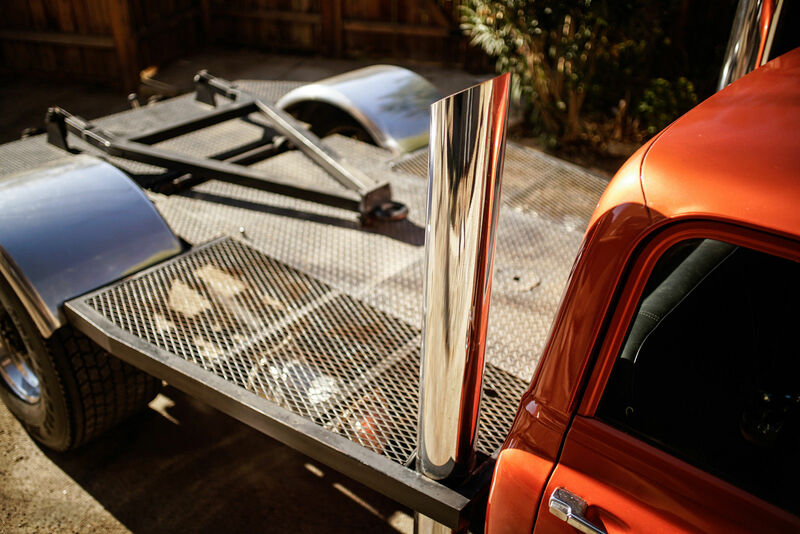 It mentions parts of the truck that are of a movie prop nature such as the 10-speed tractor gear shifter, the smokestacks, and the air tanks bolted under the bed of the truck. 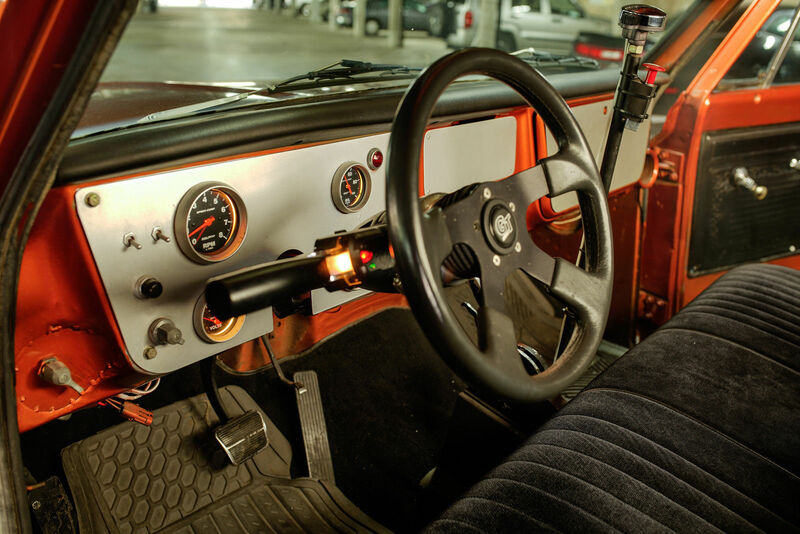 The truck features a 502 big block V-8 engine matted to a three-speed automatic gearbox, MSD ignition, Holley Performance four-barrel carburetor, and Hedman headers. The truck is being sold as-is, but states it is in "good running and drivable condition"
I think the best part is the paperwork from the movie that comes with the car from Universal. A production binder which in the auction image shows a storyboard, an "FF4 Cost List", and a State of California vehicle title registered to "Universal City Studios LLP". As of this article, the truck is up to a bid of $32,500. Check out the auction and see if you can pull the trigger. This stretched electric people hauler is almost twice the car.